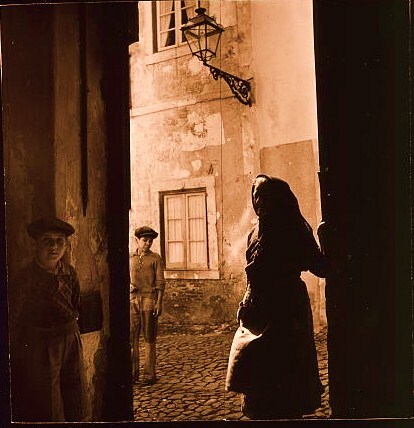 In this narrative, historian Lochery draws on his relationships with high-level Portuguese contacts, access to records recently uncovered from Portuguese secret police and banking archives, and other unpublished documents to offer a revelatory portrait of the War’s back stage. 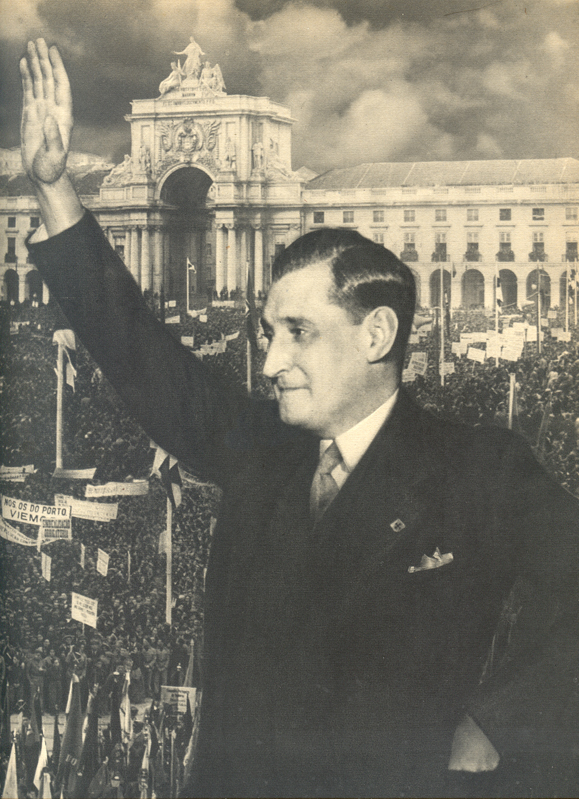 And he tells the story of how Portugal, a relatively poor European country trying frantically to remain neutral amidst extraordinary pressures, survived the war not only physically intact but significantly wealthier. A story that starts out with an earthquake and works its way up to a climax. 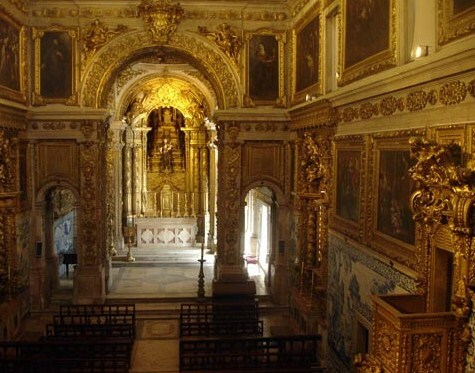 There are currently some 256 churches in Lisbon all of them, of necessity, constructed since 1755. London with 16 times the population and 20 times the area has about 1,000 churches – most of the notable ones having been built by the Catholics and confiscated by Henry VIII. Is Lisbon more religious with more steeples per capita or is London more religious with more square footage for worship per capita? Both questions are equally silly as is either blaming or crediting the reformation to a natural disaster. While some – Voltaire notable among them – may have railed against a God they did not believe in to start out with they lacked the advantages of today’s popular media which allows lies to sweep tsunami like through a popular culture. 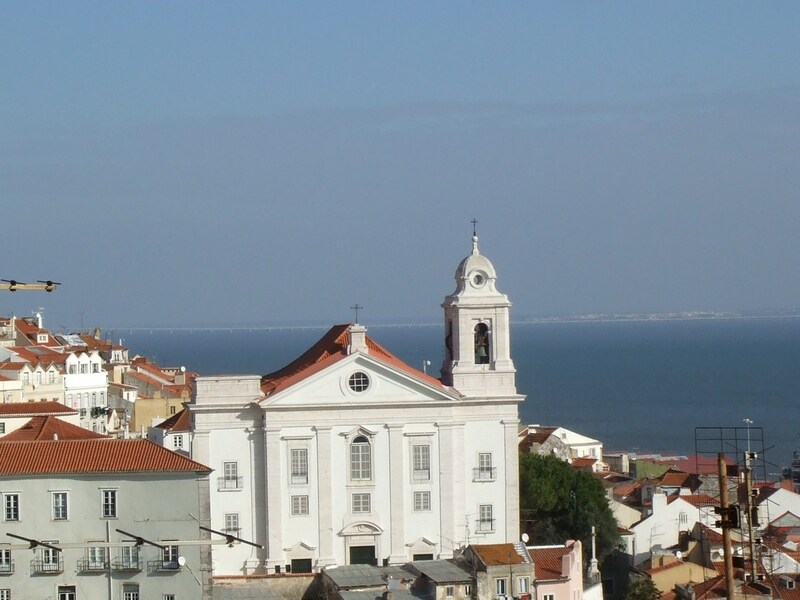 As evidenced by the rebuilding of churches in Lisbon itself not only did the Church play a large role in recovery but there were feelings of both supplication and thanksgiving in a city that was devastated but managed to survive. That Portugal became a minor power compared to England is also a case of maybe. Portugal still controlled colonies and Africa and the Far East as well as Brazil – the largest single colony in the world. The closer analogy may be between England and America today. The British lion may be covered with mange, its tail may be drooping and no pride may claim it but even without its roar there are still a few teeth left in the skull and it is wise to avoid the bite if only to guard against infection. It is axiomatic that history is a fable agreed upon and this book does nothing to dispel that idea. 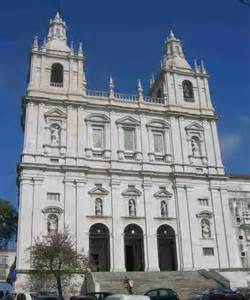 Just after half past nine on the morning of Sunday 1 November 1755, the end of the world came to the city of Lisbon. On a day that had begun with blue skies and gentle warmth, Portugal‘s proud capital was struck by a massive earthquake. 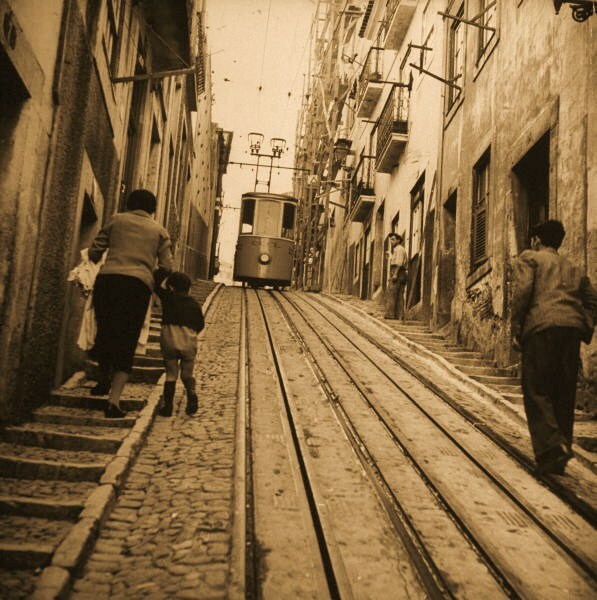 After a brief, two-minute tremor came six minutes of horror as Lisbon swayed ‘like corn in the wind before the avalanches of descending masonry hid the ruins under a cloud of dust’. 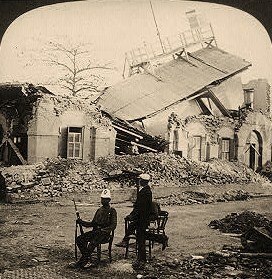 A third tremor shook most of the buildings still standing to the ground, causing catastrophic loss of life. 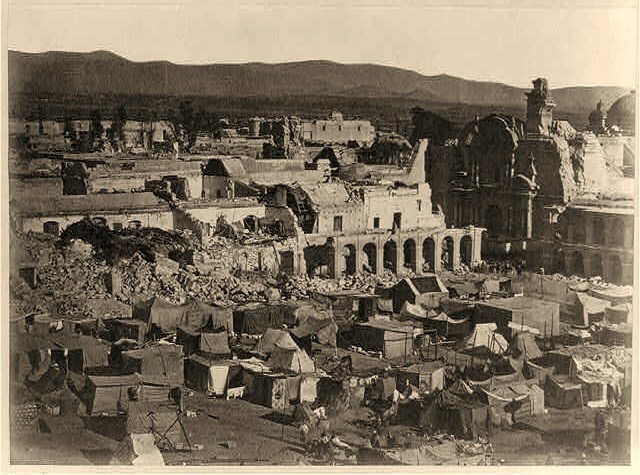 Lisbon had been struck by a seismic disturbance estimated at 8.7 on the Richter scale – more powerful than the 1906 San Francisco earthquake. An hour later, riverine Lisbon and the Algarve coast were engulfed by a series of tsunamis. 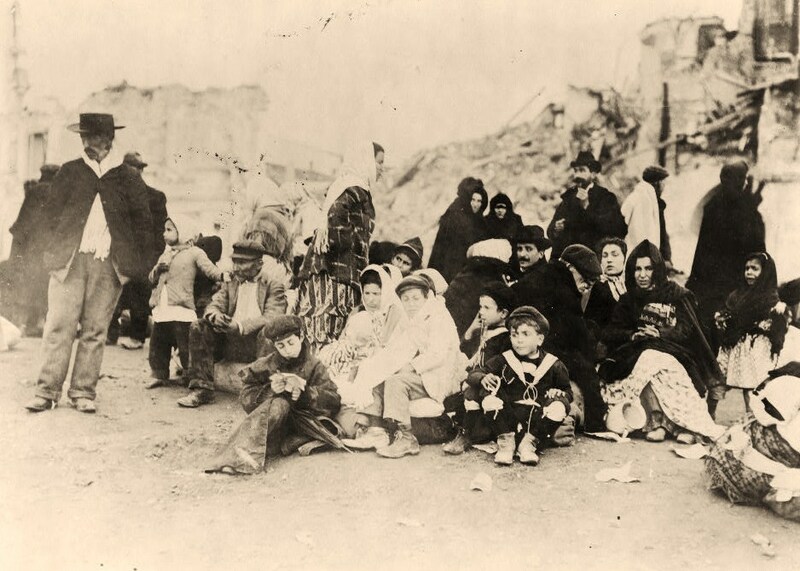 In areas of the city unaffected by the waves, fires raged for six days, completing the destruction of Europe’s fourth-largest city. 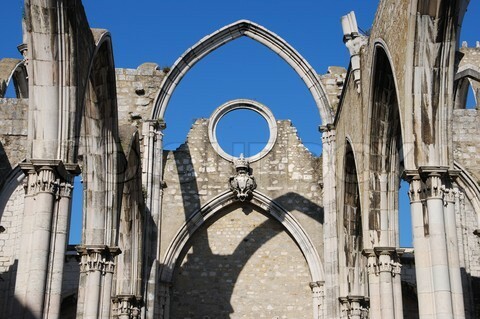 By the time it was all over, 60,000 souls had perished and 85% of Lisbon’s buildings, plus an unimaginable wealth of cultural treasures, had been destroyed by quake, fire or water. 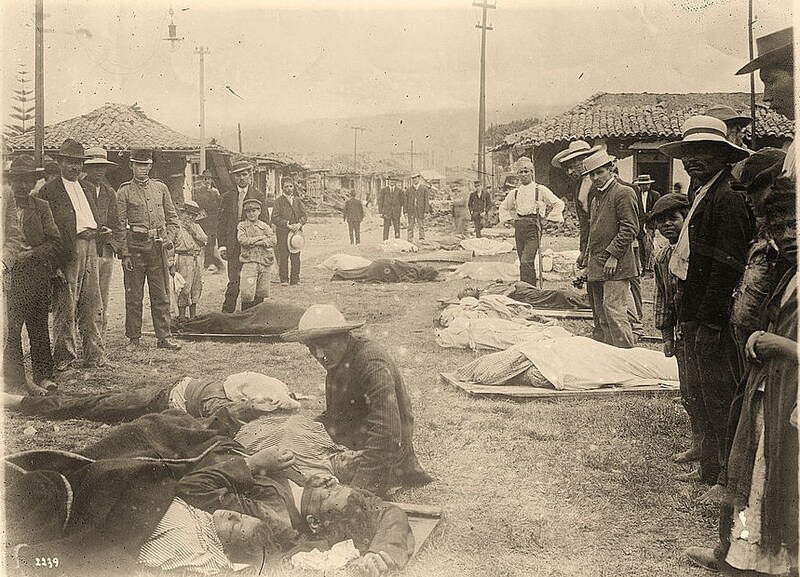 The earthquake is credited with having a searing impact on the European psyche. Writers pretended to be baffled by what they described as an awesome manifestation of the anger of God. How could the presence of such suffering in the world be reconciled with the existence of a beneficent deity? 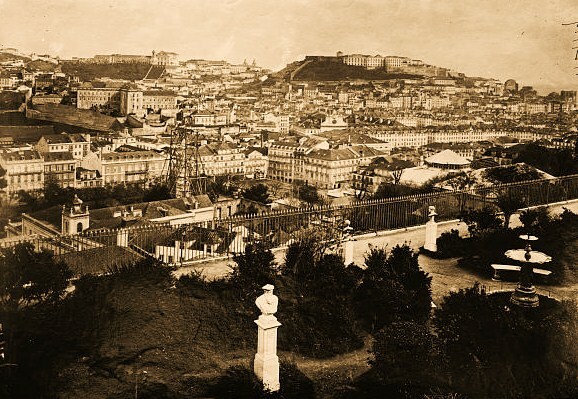 For Portugal itself, despite an ambitious programme of reconstruction the quake ushered in a period of decline, in which her seaborne supremacy was eclipsed by the inexorable rise of the British empire. Drawing on primary sources, Edward Paice paints a vivid picture of a city and society changed for ever by a day of terror. He describes in thrilling detail the quake itself and its immediate aftermath, but he is interested just as much in its political, economic and cultural consequences. Wrath of God is a gripping account from a master writer of a natural disaster that had a transformative impact on European society. Comments Off on A story that starts out with an earthquake and works its way up to a climax. 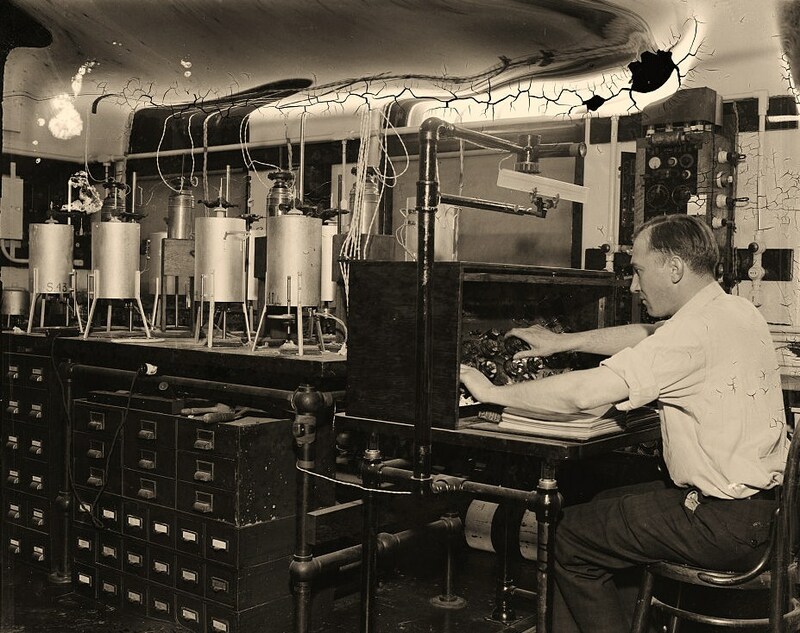 “Why is an Earthquake” Washington, D.C., The old question “why is an earthquake,” and many other geological mysteries important to man, are being probed by scientific gadgets such as the two pictured here at the Geological Laboratory of the Carnegie Institute. The scientists work and apparatus will be studied by geologists from all points of the country when the Geological Society of America meets in Washington. Dr. J.F. Schairer, physical chemist of the laboratory is shown at the instrument panel of one of the cylindrical electrical furnaces which generate heat up to 2100 degrees Fahrenheit, melting artificial rock in the study of crystallization or cooling of rocks from volcanoes. There is always blame to apportion and the most likely candidate is generally the person or institution currently in authority. It is historically true that the Church was blamed for the Lisbon Earthquake – not that the church was in particularly high regard with the reformation in full swing and authors like Defoe writing that when the plague struck London not a single priest of the Roman Church could be found [not true but perception is the largest part of the battle] – and in reality that blame took the form of believing that if the natural forces involved were studied and understood this sort of cataclysm could be understood and somehow protected against. Modern geology may date to the 17th century but contemporary geology dates to the end of the 18th century and amusingly enough faced as much opposition for a reformed protestant Europe as so many advocates of the enlightenment claimed they faced from the Church. While the San Francisco earthquake aroused no such large scale intellectual animosities – after all it happened in a country too busy with Mammon to be worried about God – the Kanto Earthquake in 1923 Japan gave the rising militarist something else to blame on the round eyed Yankee devil and was instrumental in their isolationism that ultimately led to the War in the Pacific. And although not quite an earthquake most recently we have been told that Russian leader, Vladimir Zhirinovsky, has blamed Americans for the meteorite scare. “Those were not meteorites, it was Americans testing their new weapons,” It is so much easier to have a boogeyman and it is impossible to underestimate the damage that can be caused to a society by convincinceing large numbers of stupid people of the “truth” of facts not in evidence. Geology, like solar astronomy, may have been with us since before the Greeks but it is still imperfect in the sense that although it may be able to describe forces in a general way it can not predict specific events in a reliable way. Engineering has actually progressed much further in being able to build structures able to withstand mild tremors but there probably have been and will be earthquakes that set their best designs in the same pile of rubble as the mud hut. While I do not look to religion to provide amuletic protection from earthquakes I had rather live in a society where religious people would be part of the relief effort than in one where bewildered scientists walked around muttering and cursing God every time something the didn’t understand happened! 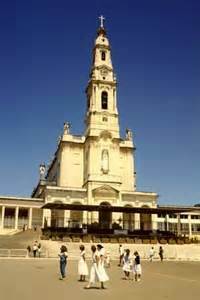 On November 1, 1755 – All Saint’s Day – a massive earthquake struck Europe’s Iberian Peninsula and destroyed the city of Lisbon. Churches collapsed upon thousands of worshippers celebrating the holy day. 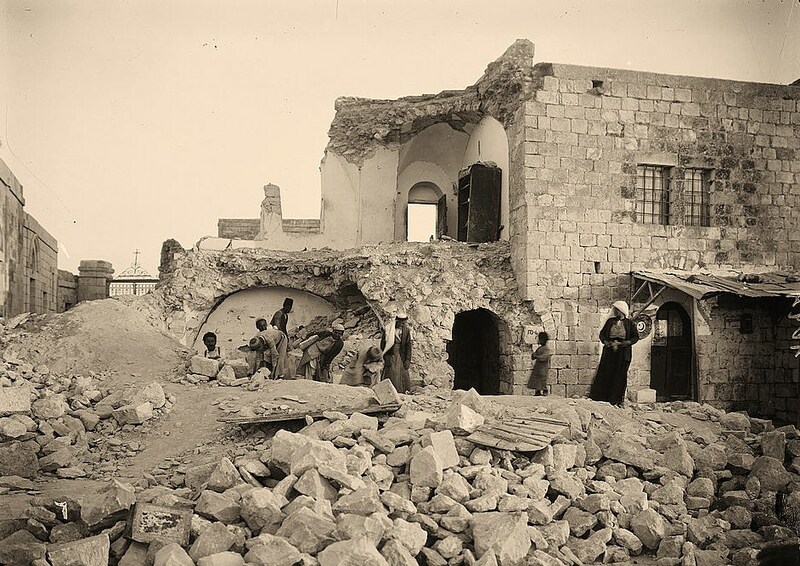 Earthquakes in Human History tells the story of that calamity and other epic earthquakes. 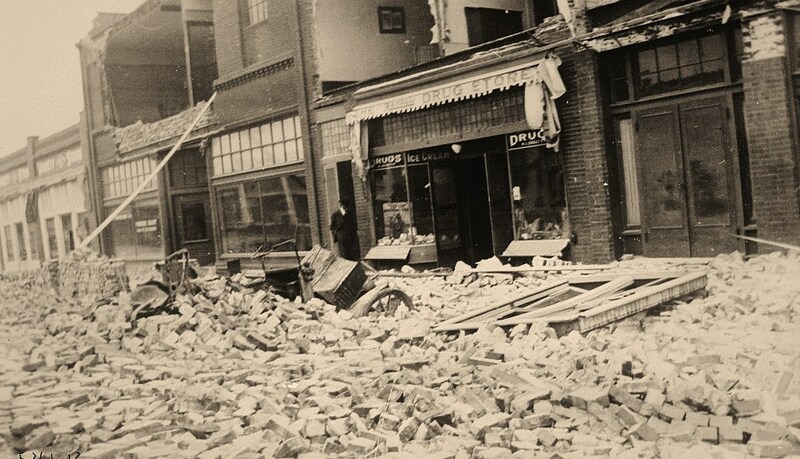 The authors vividly explain the geological processes responsible for earthquakes, and they describe how these events have had long-lasting after effects on human societies and cultures. Their accounts are enlivened with quotations from contemporary literature and from later reports. In the chaos following the Lisbon quake, government and church leaders vied for control. The Marquis de Pombal rose to power and became a virtual dictator and as a result, the Catholic Church lost much of its influence in Portugal. The anti-clerical Voltaire wrote CANDIDE to lampoon the church by claiming that faith was nothing but a philosophy of “optimism,” the belief that God had created a perfect world. With pressure from government and the so called intelligensia the 1755 earthquake sparked the search for reasons for natural disasters the could explain them in terms of a godless universe and a part of modern science was born. Ranging from an examination of temblors mentioned in the Bible, to a richly detailed account of the 1906 catastrophe in San Francisco, to Japan’s Great Kanto Earthquake of 1923, to the Peruvian earthquake in 1970, this book is an unequaled testament to a natural phenomenon that can be not only terrifying but also threatening to humankind’s fragile existence, always at risk because of destructive powers beyond our control. 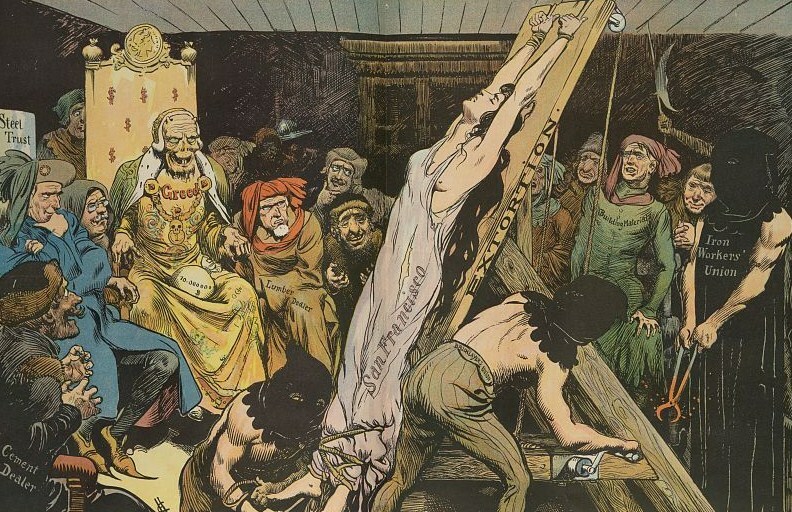 Illustration shows an allegorical female figure labeled “San Francisco” being tortured “on the rack” by a cast of medieval-looking executioners labeled “Cement Dealer, Lumber Dealer, Iron Workers’ Union, Steel Trust, Bricklayers Union, Building Materials, [and the central figure] Greed” in the aftermath of the 1906 earthquake and fire that destroyed much of San Francisco.